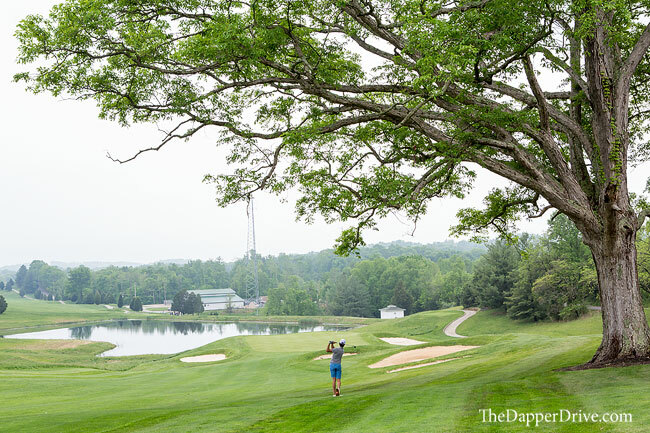 There are few golf resorts that boast two truly different golf courses. Many provide multiple layouts, but rarely does a destination offer differing experiences at each. 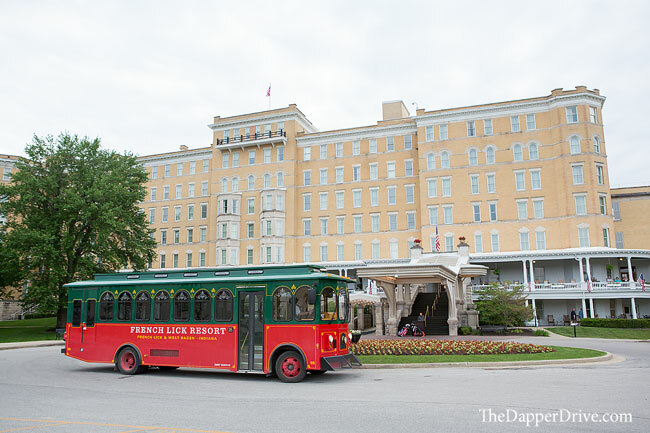 However, at the French Lick Resort in southern Indiana, that’s exactly what you’ll find. The resort is home to two top 100 ranked public golf courses — the century old Donald Ross Course and the modern-era Pete Dye Course. The two courses couldn’t be more different in just about every aspect, but do share a common trait — both held steady on the recently released 2017-2018 Golf Digest America’s 100 Greatest Public Courses ranking, coming in at #88 and #19 respectively. One other similarity? They’re both ridiculously great layouts. 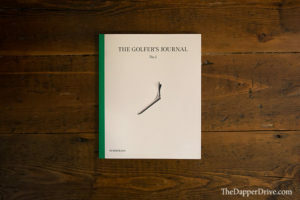 Below we take a look at The Donald Ross Course (stay tuned for a look at our experience at The Pete Dye Course, and an inside look at the resort). 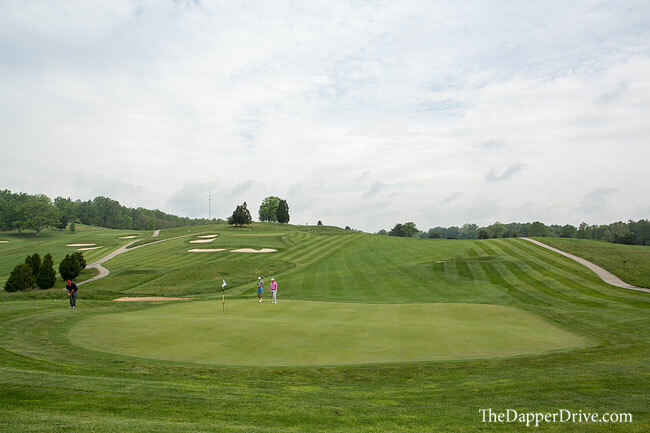 Built in 1917, The Donald Ross Course at French Lick is celebrating it’s 100th year anniversary. 100 years! 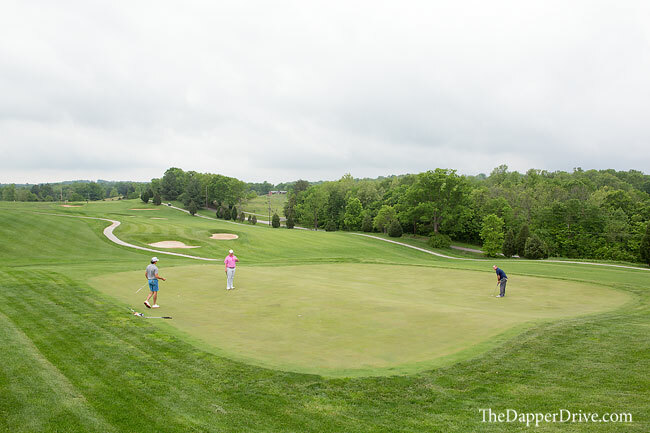 The golf course is largely untouched from it’s original Ross design, and despite it’s age has stood the test of time in a world where 300+ yard drives have become the norm. 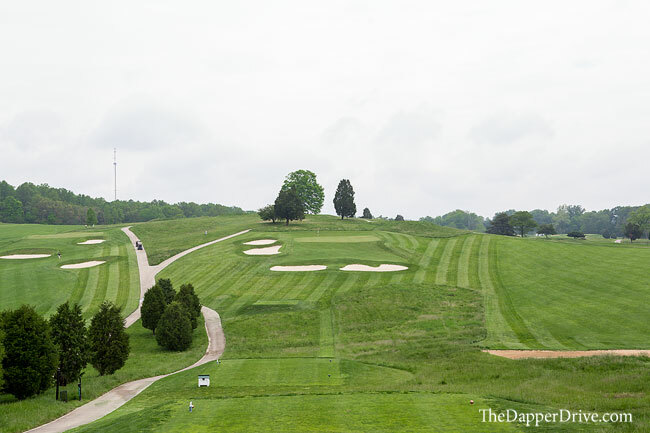 The Ross Course sits on a relatively compact piece of property and is routed around the gently rolling hills of French Lick, Indiana (no surprise it was originally known as “The Hill Course”). 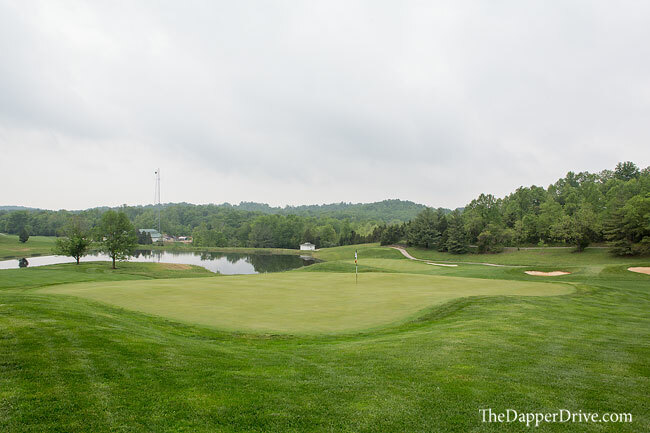 Upon arrival, you’re greeted with a great view of the course as the clubhouse (and first tee box) sit on the southern end of the property and offer a nice glimpse of the overall landscape. 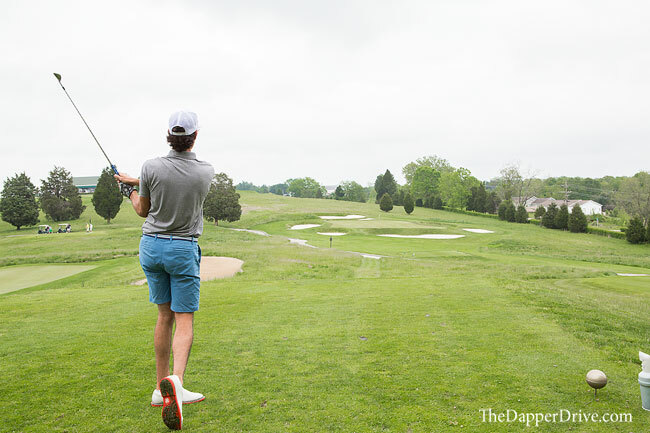 You’ll quickly find that the Ross Course won’t beat you up off the tee. 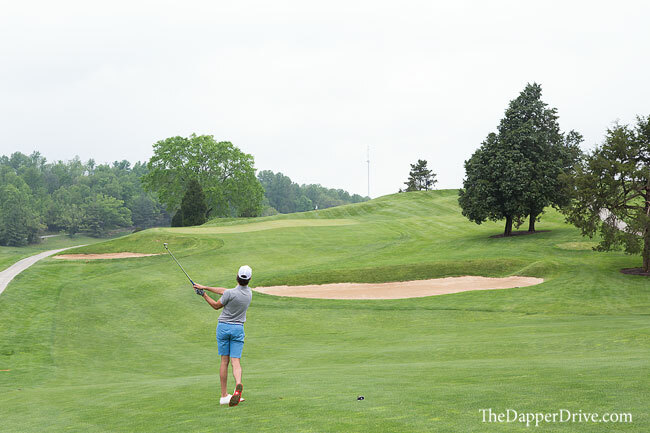 Fairways are friendly and trees are sparse on many of the holes, making this a second shot golf course. The rough can be dense in areas and fescue does come into play, but by and large you’ll be able to find your ball and take a shot at the green. Given it’s age, it’s hard for some to believe the Ross Course can still hold it’s own in the modern era. It’s a respectable 7,030 yards from the championship tees, but there’s so much more than distance that will challenge you out here. 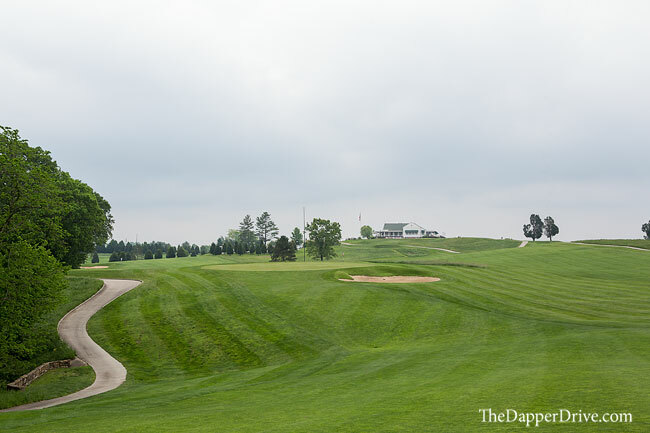 Here are 3 reasons the Ross Course will put your game to the test. I mean that quite literally. Almost every fairway at the Ross Course presents an uneven lie. 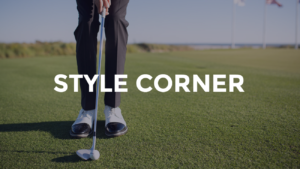 You’ll get them all out here – sidehill, uphill, downhill, or some combo of both – but by and large the landing zones are downward sloping toward the greens. These downhill lies into elevated, crowned greens make for very challenging approaches out of the fairway, let alone the rough. So even with mid-to-short irons in hand, these downhill and uneven lies make for some tough shots. The undulation is so severe on these Ross greens that the course staff actually has trouble finding a flat putt to measure green speeds! 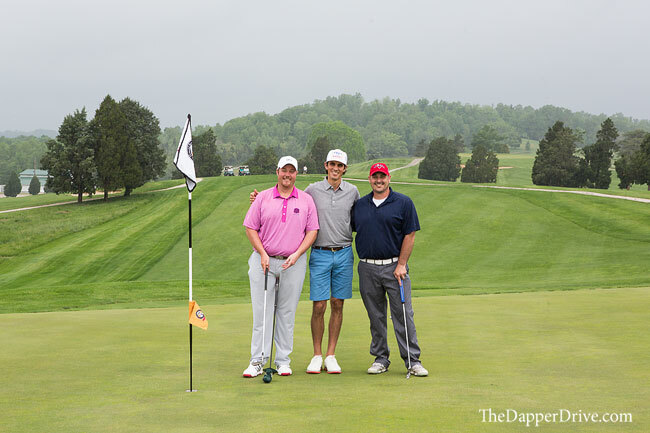 Uphill putts can run on the slower side while downhillers must be given ample respect. 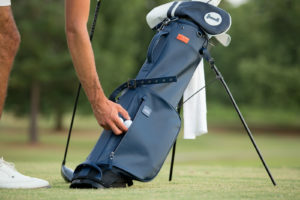 Many are pitched severely from front-to-back while plenty of others feature tiers and levels that leave golfers faced with tough double breakers. Case in point? I suffered my first 4-putt of the Ultimate Golf Road Trip on the 8th hole, where you won’t believe how severe it’s sloped from back to front. 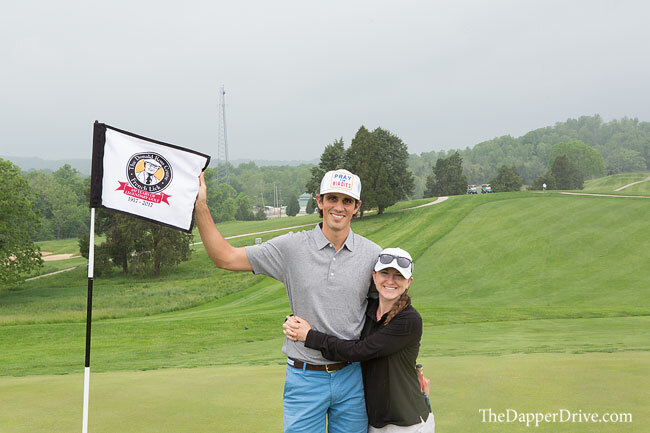 I’ll lend the same advice my playing partners did to me – if the flag is in the back left, and your ball finds the front, hit the first putt hard! Along with the many dramatic undulations on the greens, sloped edges are designed to send balls scurrying into deep collection areas below putting surfaces, adding to the difficulty and making for some near-impossible up-and-downs should you find yourself short sided. Classic Ross. 240. 249. 252. Those figures? Yup, they represent the yardages of the first three par 3 holes at The Ross Course! I know what you’re thinking. The greens must be friendly… guess again! Two of the three feature multi-level greens where balls on the “wrong” level are all but a guaranteed three putt. Starting to see why this golf course can hold it’s own? 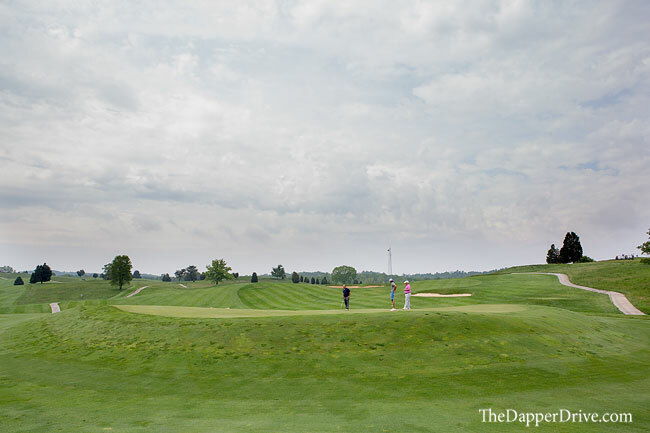 The 538 yard par 5 7th hole was a favorite on the outward nine. 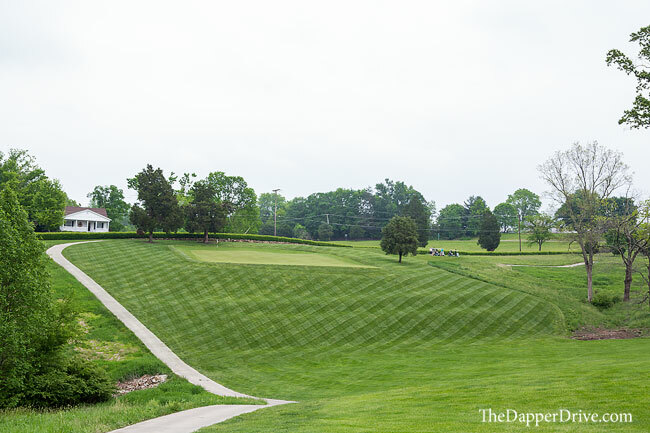 The dogleg left hole starts with a downhill tee shot, and is followed by an uphill, blind approach. It’s reachable in two for the longer hitters, though an elevated green guarded by bunkering short right and long left demand a precise second. As you crest to the top of the hill approaching the green, the clubhouse presents itself in the distance, making for a picture perfect walk. On the inward nine, the uphill 367 yard 11th features some impeccably placed fairway bunkering and an old school square shaped green. It’s a great looking hole from the tee, and behind the green. And, the blind tee shot and picturesque approach on the 452 yard par 4 14th is another one that stands out for both it’s challenge and beauty. 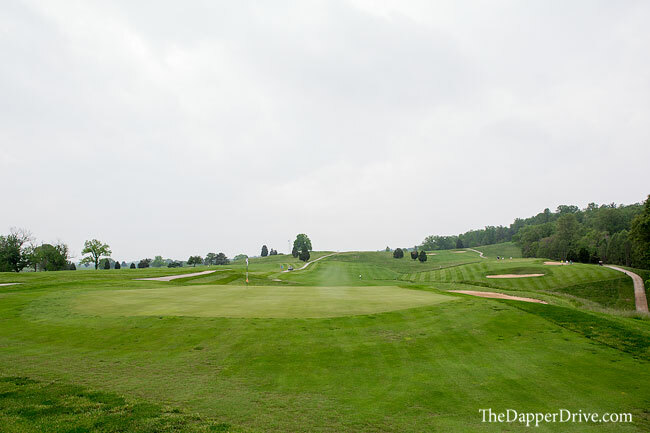 I love the sweeping views of the surrounding holes from the top of the hill, midway through the fairway. After your round, be sure to take a few minutes for two activities. The existing clubhouse isn’t the original (it burned in a fire), but it was built in the late 1920s so it’s still got plenty of old-school charm. 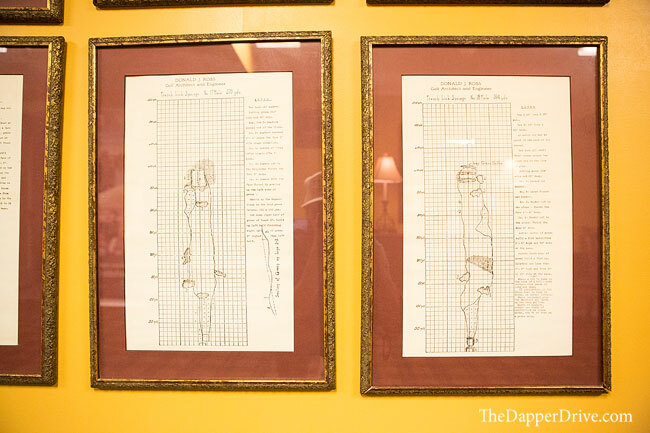 Take note of the picture of the playing field from the 1924 PGA Championship in the entrance, and pop downstairs for a glimpse at the original hole design sketches and two benches that are the lone clubhouse artifacts that survived the aforementioned fire. This is a must! 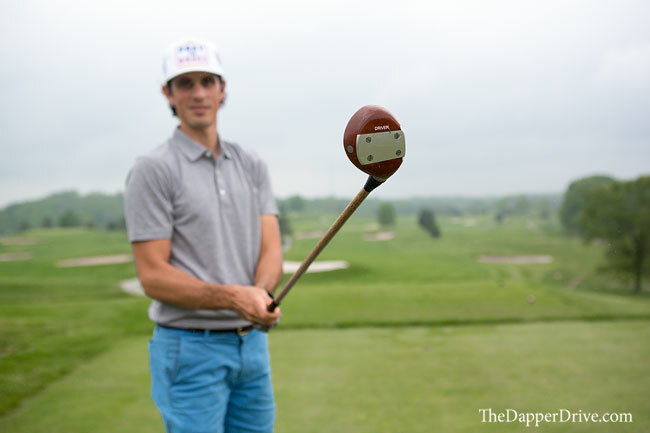 The pro shop has a bag of hickory shafted drivers that guests are welcomed to try on the first tee. If you can smack one of these straight down the middle, you should be more than proud — these things sure are tough to hit. What a cool and unique experience. It’s the perfect way to end the day at this Donald Ross gem. PS — Thanks to Alex and Chris for showing me around the Ross Course. Be sure to say hello if you make a trip and see them roaming around the shop. 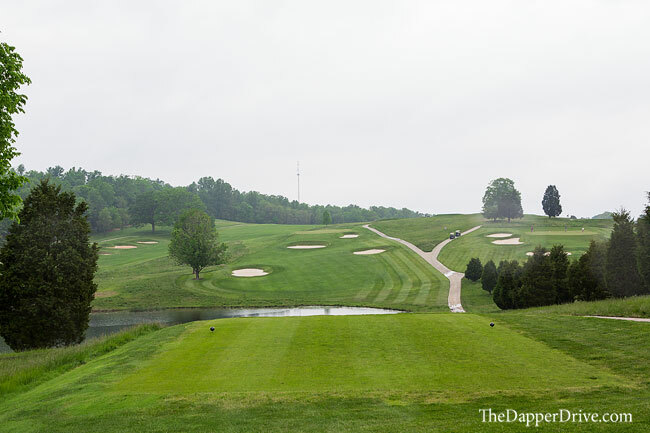 Read our experience at The Pete Dye Course at French Lick Resort here! Great write up! I loved this track when I played it a couple years ago. Old school to the max and just oozing with character. Lovely set of greens and some really pretty views that you don’t expect. Glad you enjoyed it. The picture of the playing field in the clubhouse is great because two players are seen twice. Apparently with old cameras if you were quick enough you could run to the other side and get in twice!